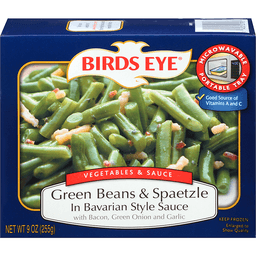 Birds Eye® Green Beans & Spaetzle in Bavarian Style Sauce. Microwavable portable tray. Good source of vitamins A and C. Vegetables & sauce. With bacon, green onion and garlic. 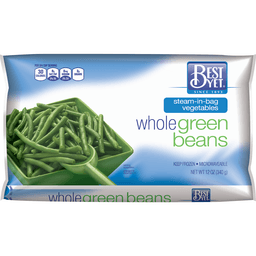 Net wt 9 oz (255g). 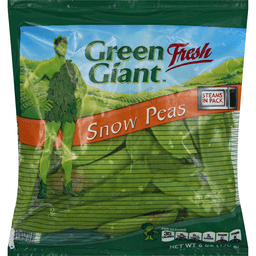 Visit our website at www.birdseye.com for recipe ideas and vegetable facts. Please call us with comments at 1-800-563-1786 M-F 8:00 a.m. - 5:00 p.m. EST or visit our website at www.birdseye.com. 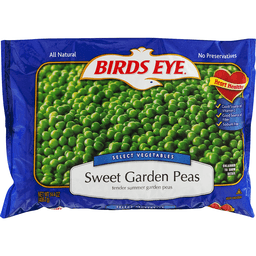 Birds Eye® Sweet Garden Peas. All natural. No preservatives. Heart healthy. Good source of Vitamin C. Good source of fiber. 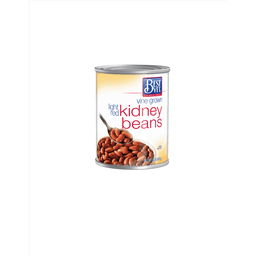 Sodium free. Select vegetables. 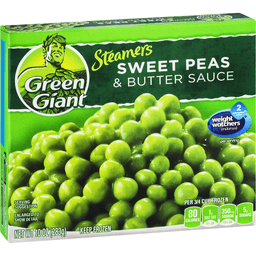 Tender summer garden peas. Mypyramid.gov. Steps to a healthier you. 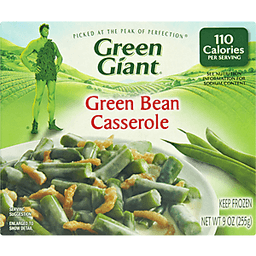 Vegetables play a key role in any diet. 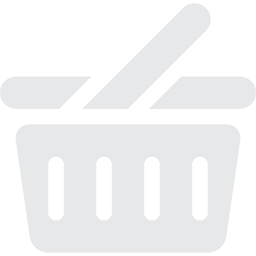 Visit mypyramid.gov for recommended daily amounts. We'd love to hear from you! Questions or comments 800-563-1786 M-F 9:00am-5:00pm. birdseye.com. 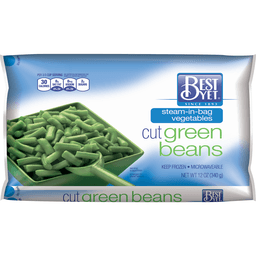 Visit our website at www.birdseye.com for recipe ideas, vegetable facts and to subscribe to our free eNewsletter. 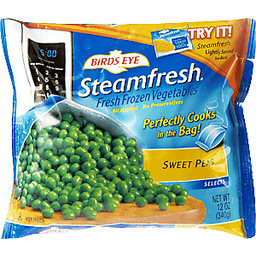 Fresh frozen vegetables. All natural. No preservatives. Perfectly cooks in the bag! Selects. Questions or Comments? 800-563-1786 M-F 9:00am - 5:00pm EST. 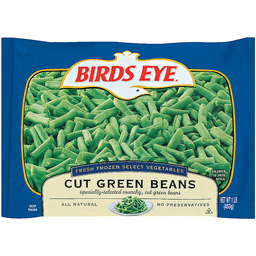 www.birdseye.com. Product of USA.